At Belfair Chiropractic Center and Massage, we go beyond simply correcting back and neck pain. Instead, Dr. Scott dives deep into your problem areas to devise a plan that works for your body. It’s our goal to restore balance to your brain and spine, resulting in a properly functioning nervous system. When your nervous system is functioning as it was meant to, you can express your true health in the greatest ways! Chiropractic Care: Dr. Scott offers a variety of adjustments for patients of all ages, including manual, hands on adjustments that are very gentle. In addition, he incorporates the Activator method, which involves a handheld tool, for patients who may be older or require even less pressure for an adjustment. Care with us is always safe and effective—we encourage you to ask any questions you have! Naturopathy: We’re proud to work closely with an onsite Naturopathic doctor. A Naturopath has all the privileges of a medical doctor, though chooses to offer care and solutions with a focus on natural methods, including blood testing, diet, exercise and more. 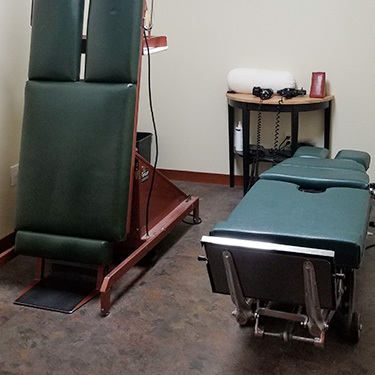 Massage: Belfair Chiropractic Center and Massage features three experienced massage therapists who are constantly taking courses to improve their repertoire. Specializing in oncology massage, reflexology, pregnancy massage and more, there’s something for everyone who needs a little extra help healing and relaxing. Supplements: Dr. Scott is happy to offer supplements to support your nutrition, which is sometimes exactly what your body needs for a well-rounded approach to health. At your visit, we’ll examine your diet and discuss what options might be right for you. We strive to make care unique to each individual, addressing your needs with a custom plan focused on you. Dr. Scott will recommend a plan for you that typically begins with 2-3 visits per week to our practice. We’ll continue to gauge your progress over the course of the first few weeks. As soon as you notice an improvement in how you’re feeling, we’ll scale back your visit frequency. As always, care is entirely up to you! We’d love to invite you into our practice to learn more about how natural chiropractic care can help you and your family live a happy, healthy life. Get started today by contacting us to book your appointment!